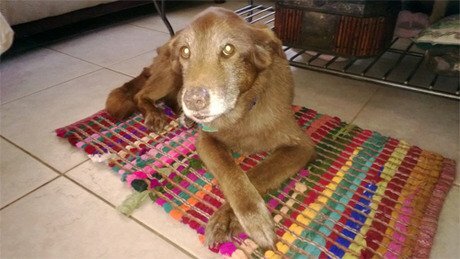 I read through the “Open Letter to the Person Who Left This Sweet Dog at the Kill Shelter,” on the Huffington Post with a sense of disgust, dread, and sadness, and while some of these emotions are for Cocoa, and some are for the family that surrendered the 12-year-old Labrador mix, a majority of my feelings were toward the person who wrote the letter. The “Open Letter” author may call herself a dog lover, but every time someone starts off an animal welfare piece with a threat towards humans, we lose a little more footing in our battle for compassion. I know some people honestly, truly do not care about the animals they call pets. I have seen terrible, deliberate neglect, horrifying cruelty, and delusional maltreatment of animals. Yet, I have also seen people sobbing as they leave a cherished senior dog behind as they head into an Alzheimers unit. I have seen children screaming at the door, pleading with their parents that they will help find a way to save money for dog food. And one of the most heartbreaking experiences of all happened just last month. A woman called my shelter in tears. Her dog was 16 and she had called her local animal shelter every day for the last two weeks pleading that they help her to euthanize him. He was at the end of his life and had been her beloved companion since he was four weeks old, but he could no longer stand. The woman did not have the $150 dollars the shelter was requiring that she pay to have the geriatric, immobile dog pass on peacefully, so she called us, more than 90 miles away, where we agreed to euthanize her dog with respect and without any charge. She literally hitchhiked to us to give her dog the ending that she knew he deserved. I can only imagine that this tragic situation could have been avoided had the first person she called showed some compassion. This was not willful neglect. This was a grieving pet owner who wanted the best for her dear canine friend and she did not fail her dog. Humans who cared only about animals, and not about people, failed her dog. The family admitted they had limited funds. Diagnostics and treatment for most cancers would run in the thousands of dollars, and even if treatment were offered, it was not a guarantee Cocoa would survive. And at her age, would it have been kind to subject her to such treatments? We can only assume the shelter staff told Cocoa’s owners what would be her likely outcome, and they most certainly signed a form recognizing euthanasia was a possibility for the senior dog. Is it so wrong to have your pet euthanized at the end of its life when you cannot afford further care and cannot see her suffer any more? Not every act of desperation is an act of cruelty. But every time a self-proclaimed “animal lover” decides self-righteousness is more important than supporting programs that can help needy pet owners, we keep a resolution to perceived cruelty at arm’s length.